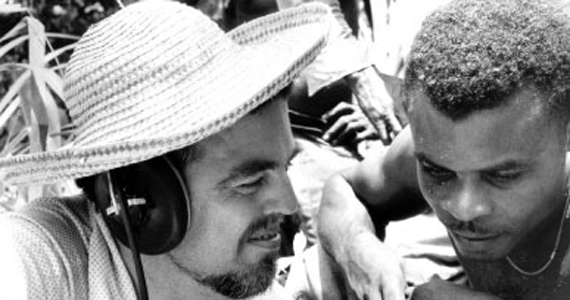 From the Mississippi Delta to Cuba and beyond, Alan Lomax documented a vast array of distinct and disparate varieties of regional music for over sixty years, creating a vast and priceless collection of audio, video, and photographic recordings along the way. I recently stumbled upon the Association for Cultural Equity’s Video Collections — archival footage from places like New Orleans, the Mississippi Hill Country, Appalachia, and the Carolinas. Most of which were featured in Lomax’s PBS Series, American Patchwork. Enthralled, I spent the weekend with Lomax as my guide. I watched R.L. Burnside’s young sons do the Hambone and dodged splinters while R.L. chopped wood, sang and hollered. I talked to Joe Savage, once an inmate on Parchman Farm. I partied with Algia May Hinton on the front porch of her house in Johnston County, in my home state of North Carolina. I danced as a young Dirty Dozen Brass Band performed “Bongo Beep” at the Glass House in New Orleans. And that was only the beginning of my experience. The aforementioned clips and the following highlights are needles in the massive haystack that is Lomax’s archive. So dig in, pay attention and pass it along, as this vault of cultural history does well to illustrate how connected we as Americans all are, even in our differences. Enjoy. Thanks so much for this. I’ve always been moved by Boyd Rivers, I wish there was more of his music out there. All of this is wonderful. Lived in Canton for a year. Good to see the old footage.